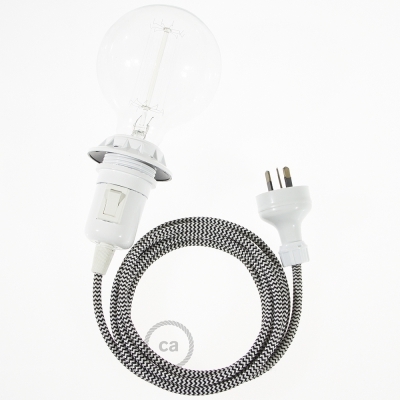 Create your RZ04 ZigZag Black Snake for lampshade and bring the light wherever you want. Black 120 mm 5 hole ceiling rose kit with cylindrical black plastic cable retainer. 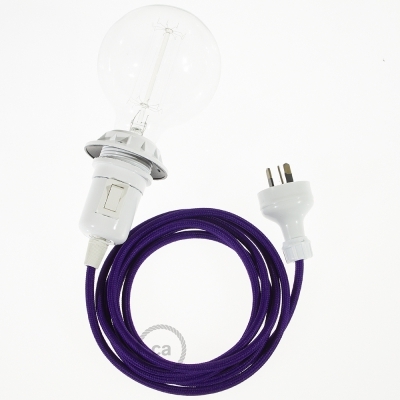 Create your RM14 Violet Rayon Snake for lampshade and bring the light wherever you want.